Last January my car was broken into and my incredibly nice navigation system, a Garmin 7500 was stolen, along with our portable DVD player. State Farm was great, taking care of all repairs (after a call or two) and cutting me a check for a new navigation system. While I liked the Garmin I found the traffic information wasn't really very good (all reported traffic along my route seems to be at least half an hour (or more) behind. So that by the time it's reported the actual traffic is gone, but something worse could be in the way. About a year ago I read about the Dash, which was set to release this past December. In the end it was delayed until March 26th. But man, when I saw it had shipped I was like a kid in a candy store. What makes the Dash different is that it connects to the Internet through a cell phone (or Wifi if you're near your house or when I'm at church). . . all the time. So, when I search for a restaurant it actually searches Yahoo and shows me the restaurants and even the number of stars people rated it. When I look for gas it shows me the closest stations and, in most cases, the price (though admittedly it's often a day or two old and my two favorite gas stations aren't on it but it's still a good comparison, and great when you're out of your local area). I can also find an address in a Web browser and send it directly to my dash, or reorder my search items on the Web, or whatever, and the Dash is updated before I can blink. More than all of that though, is that it uploads my actual speed driving on a road (and everyone else with a Dash) and then sends it to all other Dash's in the area. So, on my way into work, the radio didn't say anything about traffic on the toll road, but as I watched my dash I saw the road go from solid green (another dash person(s) is flying down the road at normal speed) to solid red (Dash drivers are now stuck in horrible traffic). It also saw other Dash drivers get in a bit of traffic on the beltway along my route, and by showing me other options I saved 20 minutes getting to school. Tell me that isn't awesome? Even if no Dash person is on the road it will show historically how a road does and show reported problems (the 30 minute delayed stuff from the radio). What's it missing you ask? Well, I'd like to be able to speak my address to it. Some people complain about no Bluetooth (you can't use it as your phone) and not XM radio, and that you have to pay a monthly fee. Personally, I'm fine paying the fee. I was paying $6 a month for crappy traffic on my Garmin. And I'd pay extra for map updates (so I really never updated it beyond the first free one). 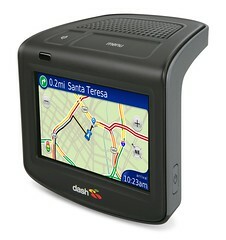 Dash includes live traffic and automatic map updates and software updates). I can't say I care about Bluetooth or XM. I've learned that I prefer getting one component which excels at what it does. So I have an XM radio and my Bluetooth headset. The great thing about the Dash is that it's really focused on being the best navigation system you'll ever own. They are listening to user feedback, and planning improvements. When my first dash only connected once over cell then never again, within two days I had a new one and mailed back the broken one. Tell me that isn't awesome customer service. All right, I think I'm done gushing. I wrote ridiculously long reviews on CNet and Amazon anyway. But having saved 20 minutes and staying completely out of traffic for a drive again makes very clear why ILMD. Where Do I Turn in My Sci-Fi Membership Card?